This grand home stands as a reminder of days gone by: high coved ceilings, spacious rooms, long wide hallways, wide plank floors, large bright windows with thick elaborate woodwork, formal dining rooms, kitchens with freestanding cupboards and tables and hanging pots and pans. Triple brick provides natural insulation from cold and heat. Presently the home has a small one bedroom apartment in 1/2 of the upstairs. Home can be easily converted to one family or maintained with small apartment. Laundry is in the basement or on the second floor. Large trees shade the fenced yard and the huge west side patio. Updates in the last few years include: new roof 2018, fenced yard in 2007, new Wallside windows including the basement 2001, upgrades to wiring 2000, new boiler 1998. This 4 bedroom, 2 bathroom Single Family home for sale is currently listed for $129,500. 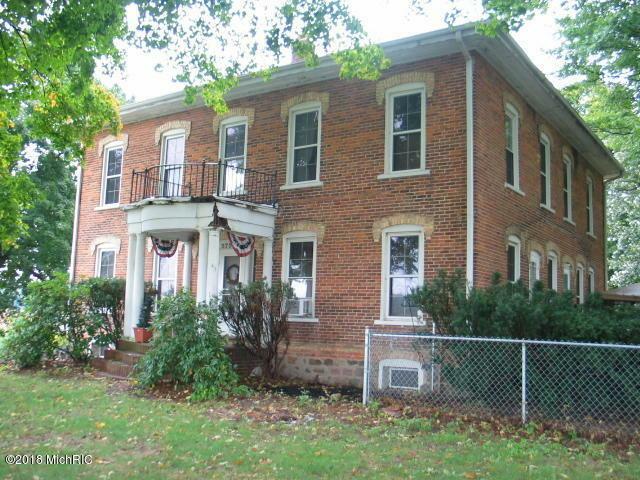 Located in Jonesville, MI, 5751 E Chicago Road features a lot size of 1.0 Acres and was built in 1848. It has been on Coldwell Banker for 195 days. This listing is provided courtesy of REMERICA SOMERSET REALTY. Looking for more homes for sale near this one? View all Jonesville, MI homes and connect with local real estate agents. Website provided and owned by Coldwell Banker Denny Groves & Associates.